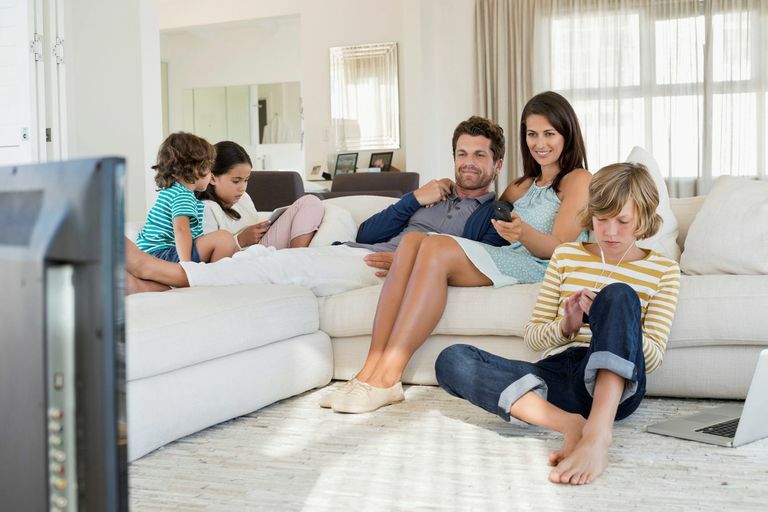 Unless you live alone, Apple TV is a product the whole family will share. That’s great, but how do you decide which Apple ID you should link your system to? Who gets to choose which apps to download, and what do you do if you use Apple TV in an office or meeting room and need to support additional users? The solution is already here—link multiple accounts to Apple TV. This means you can set up multiple iTunes and iCloud identities for each family member. However, you can only access these one at a time and must log in to the appropriate account when you want to use it. Setting up multiple Apple TV accounts lets you watch movies and TV shows that have been purchased by different members of the family, or even by visitors if you choose to support their Apple ID on your device. In Apple’s world, each account has its own Apple ID. You can add multiple Apple accounts to your Apple TV from the iTunes Store Accounts screen. Open Settings > iTunes Store. Select Accounts at the top of the screen to be taken to the iTunes Store Accounts screen. It's here that you can define and manage any accounts you have available on your Apple TV. Choose Add New Account and then enter the Apple ID account details of the new account you want your Apple TV to support. This two-part process requires you to enter your Apple ID first, then choose Continue, and then enter the Apple ID password. Repeat this procedure for each account you want to support. When the process is complete your Apple TV will be available to each account, but only if you manually switch over to the appropriate account. You can only use one account at a time, but it's quite easy to switch between multiple accounts once you've set up your Apple TV to support them. Go to Settings > iTunes Store. Choose Accounts to find the iTunes Store Accounts screen. Choose the account you want to use as the active iTunes account. The first thing to note when you have multiple accounts enabled on your Apple TV is that when you purchase items from the App Store, you don’t get to choose which Apple ID makes that purchase. Instead, you need to make sure you've already switched over to that account before you buy anything. It's also a good idea to keep an eye on how much data you have stored on your Apple TV. This is because when you have two or more people using the Apple TV you are likely to see multiple apps, image libraries and movies download to the device. That’s not unusual, of course—it’s part of why you want to support multiple users in the first place, but it can be a challenge if you're using the lower capacity, entry-level model. Consider disabling automatic downloads for the accounts you’ve just added to Apple TV. The feature automatically downloads the tvOS equivalent of any app you purchase on any of your iOS devices to your Apple TV. This is highly useful if you want to try new apps, but if you need to manage a limited amount of storage space, you'll need to switch this off. Automatic downloads are enabled and disabled through Settings > Apps, where you toggle Automatically Download Apps between off and on. If you're short on storage space, open Settings and go to General > Manage Storage to review which apps are taking up space on your Apple TV. You can delete the ones you no longer need by tapping the red Delete icon. You may need to delete an account stored on your Apple TV. This is particularly useful in conference, classroom, and meeting room deployments where temporary access may be required. Tap the Trash icon next to the name of the account you want to lose.